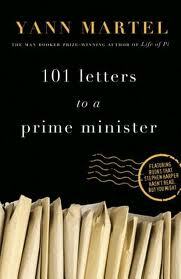 From April 2007 to February 2011, Martel wrote 101 letters to the office of the Prime Minister. The letters described literature Yartel believes essential to a well-rounded intellect—as the leader of Canada should be—as well as a copy of each book. In total, he received seven replies. The first came right away. The next four came two years later. Two other authors, who helped Martel when he was unable to select a book and write a letter, received one reply each. Not one of these letters came from Harper. Martel imagined several versions of replies he could have received, varying from haughty to sly, to practically, brutally and openly honest. Claire was News Editor of the Gazette for Volume 146. You can follow her on Twitter at @Claire_Wahlen.